Found in the county of Berkshire in southern England, Slough is located only around 20 miles west of central London. With a population of over 140,000 and such close proximity to the capital, there is a thriving property market in Slough. At My Home Move Conveyancing we have been improving our knowledge of local markets since 2002, enabling us to bring our clients in Slough a specialist and personal, fixed fee conveyancing service. When looking to buy or sell property in Slough, you’ll require the services of a lawyer to complete the legal work on your behalf. 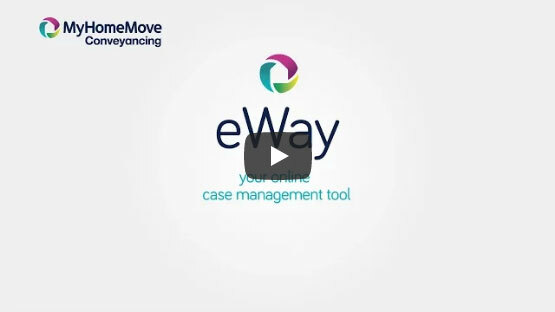 My Home Move Conveyancing can deliver an award winning level of customer service to you, along with a market-leading use of technology and detailed knowledge of the local market. Our fixed fee conveyancing service comes free from any hidden costs, meaning you’ll be able to budget for exactly what you’re going to pay from the outset. If you don’t move, you won’t have to pay us anything in legal costs. You will be assigned a dedicated conveyancer who will oversee all aspects of your case from beginning to end, providing you with a consistent point of contact and regular updates on your progress. At My Home Move Conveyancing we can assist homebuyers across the Slough area, from the town centre to the pleasant village of Datchet and upmarket Eton and Windsor. The average house price in Slough is £224,569. During the past year most sales in the area involved flats, which went for an average of £181,127. Terraces weren’t far behind in terms of the number sold, fetching an average of £285,418. Semi-detached properties went for £345,325 and detached properties £490,044. Set just to the north of the River Thames, the first recording of Slough dates back to the 12th century. The town is renowned as a centre of business and has experienced plenty of redevelopment during the 21st century, while it also borders the Colne Valley Regional Park. Slough benefits from its strong location close to London, which can be easily and speedily reached by public transport.It is possible to reach London Paddington in around 25 minutes, making Slough and its surrounding villages ideal for commuters. The M4 passes to the south of town, which can be used to head to Bristol in the west or the M25 and London to the east. Heathrow Airport is just a 9 miles journey by road, and easily accessible with public transport courtesy of frequent bus and train services. There are some excellent schools in the area for families with children to consider. Primary options include Lent Rise Combined School, Lynch Hill and Khalsa Primary School on Wexham Road, while secondary choices include Baylis Court, St Bernard’s Catholic Grammar School and Slough Grammar School on Lascelles Road. All properties in Slough (except local parishes) will fall within one of the following council tax bands.